How much did it cost to bribe Mexican officials to run one of the world’s largest drug-trafficking empires? The Sinaloa Cartel dished out as much as $1 million a month in bribes to police and military officials, according to Vicente Zambada Niebla, who testified during the trial of alleged drug kingpin Joaquin “El Chapo” Guzman, The New York Times reports. 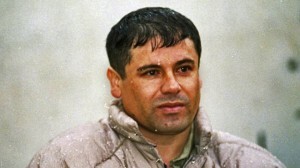 Zambada is the son of Ismael Zambada García, one of the cartel’s leaders. El Chapo has pleaded not guilty to charges of international drug trafficking and conspiracy to murder rivals. Posted: 1/4/19 at 8:09 AM under News Story.